Please let us know by using our Contact Form or email us directly at [email protected]. We have many helpful online resources including Frequently Asked Questions, Customer Service information including how to place an order, a Catalog Request Form, plus more in our extensive Resource Center. Have a website question? Click here. We can also be reached by calling (800) 873-3321, Monday through Friday, 8am to 5pm EST. 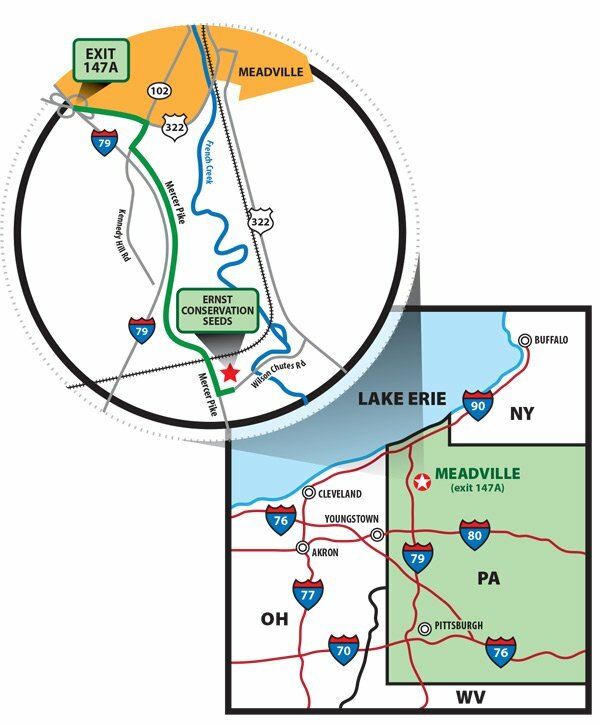 Take I-79 to Meadville Exit 147A (US 322 East to Meadville). Travel on US 322 East to 2nd traffic light. Turn right onto Mercer Pike and travel approximately 1,000 feet before turning left to continue on Mercer Pike (follow the sign to “Ernst Bike Trail”). Drive 2 miles on Mercer Pike. After crossing the railroad tracks, turn left onto Ernst’s lane.